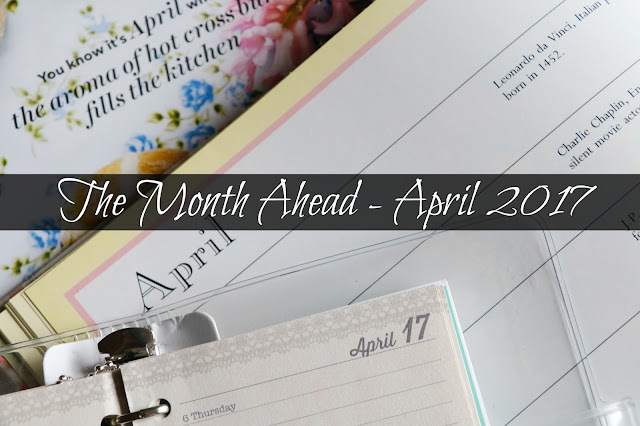 Welcome to April's The Month Ahead. The main focus of this month is Easter with parades, plays and services from Palm Sunday through Good Friday and on Easter Day itself. Throughout the country there are Easter egg hunts and trails planned. Also this month is St. George's Day. Although the patron saint of England isn't celebrated in such style as the other national days in the UK I think we can all find something typically English to do. Finally, we say 'Happy Birthday' again to Her Majesty as The Queen celebrates her 91st birthday. Let's have a look at some of the traditional feasts and festivals, events and exhibitions that are happening around the UK this month. 1st-7th April - Walk Scilly – As if you need an excuse to visit the beautiful Isles of Scilly this week long walking festival will take you to parts of the islands you will have never seen before. The programme takes in five of the inhabited islands and three of the uninhabited islands. 1st-23rd April Dusty's Giant Duck Hunt – At WWT Wetland Centres across the country help Dusty Duck find the giant yellow ducks. 10th-16th April - National Gardening Week – Easter is often seen as the start of the gardening season so what better time for it to be National Gardening Week? There's special events at some of the great gardens throughout the country plus local community events. 14th April - Chester City Passion – Follow Jesus' journey from Jerusalem to his crucifixion as the Good Friday 'Way of the Cross' play travels through Chester City Centre. It is free to watch and starts at the Eastgate Street clock and finishes at West door of the Cathedral. 14th-17th April - National Trust Cadbury Egg Hunts – The National Trust and National Trust for Scotland have partnered with Cadbury again to organise over 250 hunts across England, Scotland, Wales and Northern Ireland. Pick your preferred property and find the clues. At the end you could be rewarded with a chocolately treat! 15th April - 1st May - World Snooker Championship, Sheffield – The Championship celebrates its 90th anniversary this year plus 40 years at its famous Sheffield home of the Crucible. Tickets can be hard to come by but see the stars of past and present in the BBC's media zone situated in nearby Winter Garden. 16th-17th April - Festival of Steam and Transport – Travel back to days gone by at Historic Chatham Dockyard with vintage and classic cars, locomotives, traction engines and plus the steam funfair. 17th April - Egg rolling at Avenham Park, Preston – Join in with this tradition that has been going on for over 100 years. These days the eggs are chocolate but there are egg rolling events throughout the day. Take the opportunity to make your own Easter Bonnet and see if you can win best in show! 21st April – Queen's Birthday – While Her Majesty celebrates her 91st birthday on this day most celebrations are reserved for her official birthday in June. As usual though there will be gun salutes at midday in Hyde Park, Windsor Great Park and the Tower of London. 22nd-23rd April – St. George's Day – Pick up your swords and don your armour for a selection of dragon slaying events at English Heritage properties around the country. 23rd-30th April - Stratford-upon-Avon Literary Festival – Now in its tenth year the literary festival starts on the 453rd birthday of Stratford's most famous resident and writer, William Shakespeare. There will be plays, performances, talks and storytime sessions throughout the week. 28th-29th April - Donington Historic Festival – Forget modern F1 cars as classic racing vehicles take to the track in this annual event. You'll also be able to wander around the race paddocks and meet the drivers. 26th-1st May - Cheltenham Jazz Festival – Take in the best jazz music around at the moment. In Montpellier Gardens there will be free outdoor music and family activities.